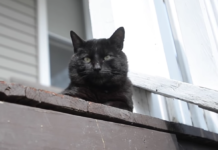 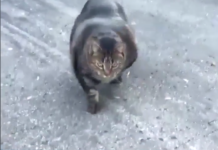 What this cat does every day to get exercise will make you laugh on the floor… This is TOO MUCH!! 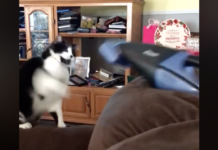 This hilarious cat has the funniest daily routine of jumping up on the table to get his exercise – he starts walking around on the lazy susan to get some exercise and it just never ends… Hahaha! 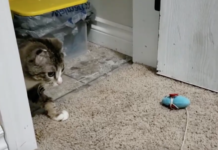 This funny cat doesn’t seem too annoyed and actually enjoys the spinning circle – most cats would just jump off, but this kitty enjoys his little routine so much that it gave his humans a chance too record the moment! 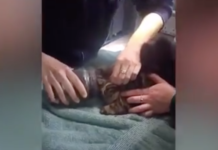 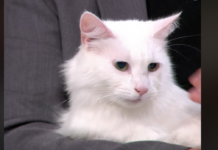 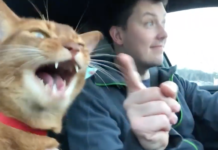 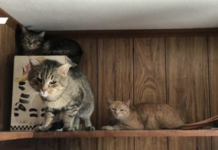 I’ve never seen a cat doing this…SOO funny, Just watch the video below!